Call me biased, but the best way to see Bologna from a different perspective and meet some amazing people is definitely by bicycle, and I can’t recommend Dynamo Bologna Velostazione enough as a starting point. Born from a desire of linking practical needs, sociability and culture by a group of local cyclists active in the community, Dynamo serves double purpose as a sustainable mobility advocate and a promoter of both urban and touristic cycling. 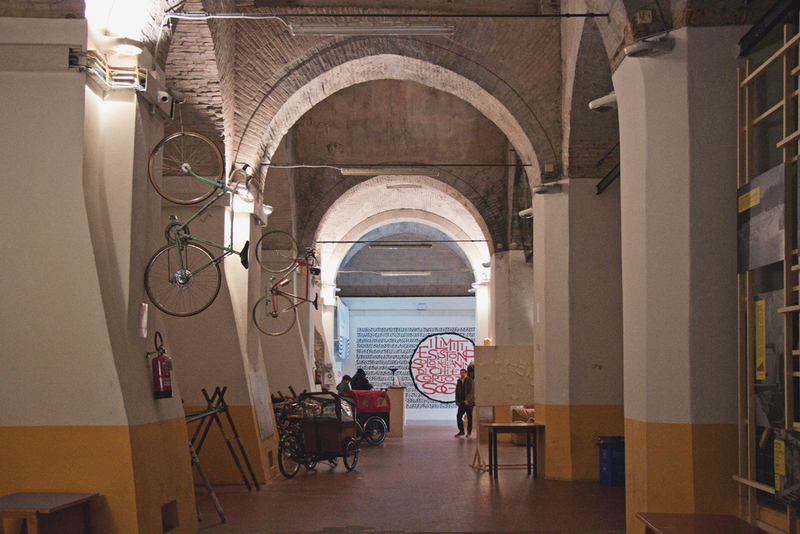 As one of Bologna’s Incredibol winners (a municipality-backed financial support contest for innovative projects in the cultural and creative field with a sustainable approach), Dynamo was able to reclaim a wonderful historical space under the Scalinata del Pincio-Montagnola staircase right on Via Independenza and turn it into an exciting meeting and sharing point for the cycling community and for tourists, spreading a different kind of culture and offering services, training, vegan food and a cozy place to hangout and make new friends. 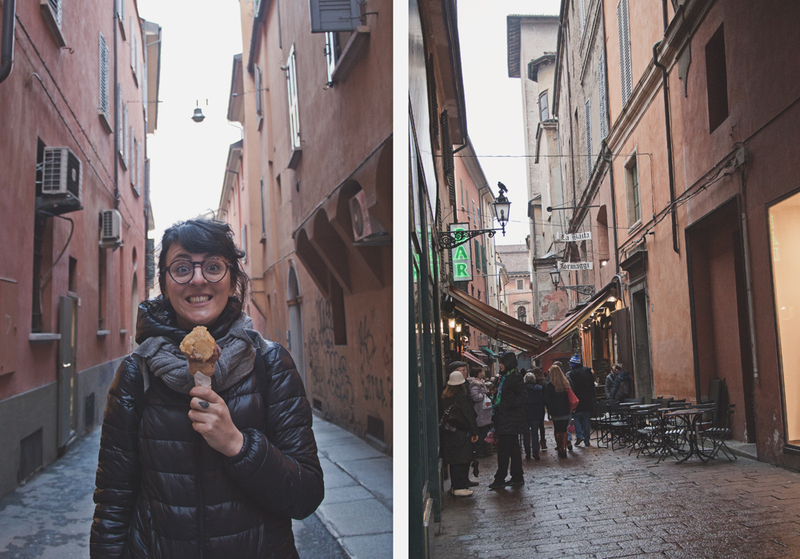 I spent a whole day with the lovely Alessandra who showed me the city through her eyes as a local and pointed out off-the-tourist-trail attractions, told me great stories and took me to the best vegan gelato spots. 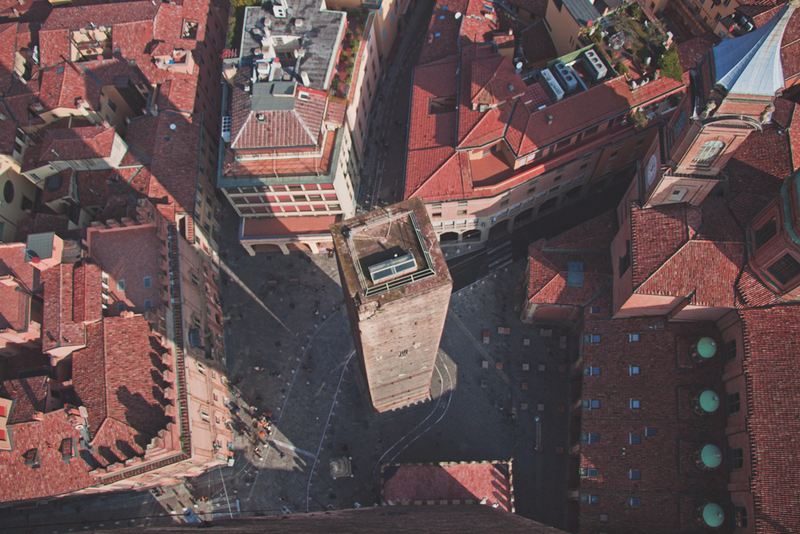 Climb the tallest leaning tower of Italy for a mere €3 and marvel at all the terracotta roofs below. It’s quite touristy, so go early. 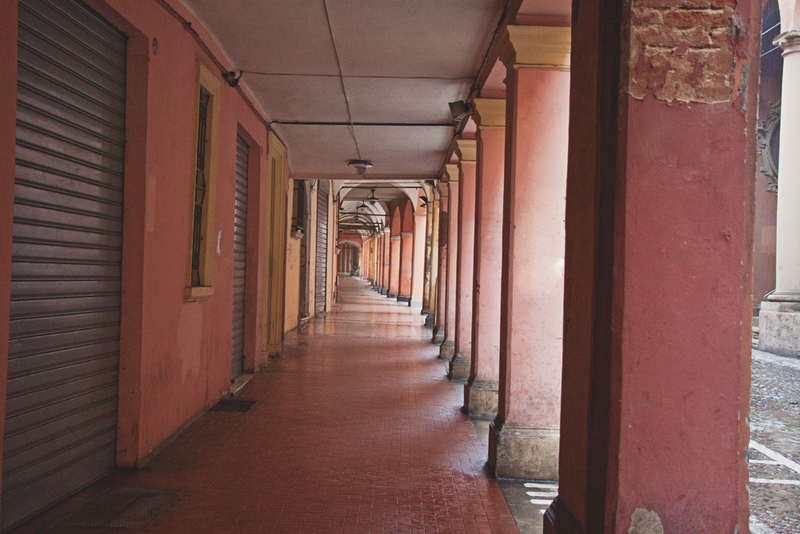 Whatever the weather, strolling in any direction around the old part of Bologna is a wonderful way to find hidden gems and get lost while admiring the architecture. If you’re really up for a hike and for another great view of the city, walk up the portico-covered 4km path leading to the Basilica di San Luca. 4. GET TIPSY… IN A CHURCH! 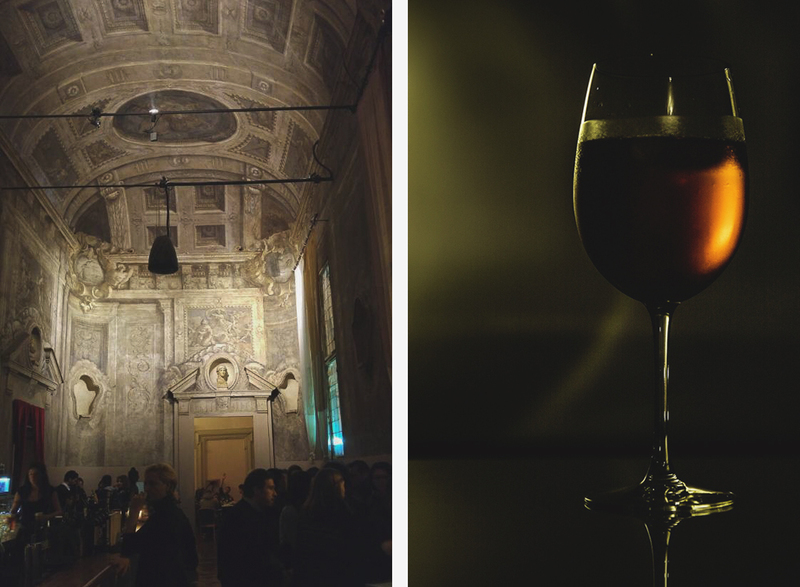 Le Stanze is a historical chapel repurposed into a bar with amazing frescos and a lovely aperitivo (this great tradition of buying a drink and getting a bunch of finger food for free or for a few euros at around 7pm). Le Stanze is not especially vegan-friendly, but for €1 you can’t really go wrong. I especially enjoyed this place for the ambiance. And the Aperol Spritz. Here are my recommendations for vegan grubs in the city. It’s suprisingly easy nowadays to be vegan in Italy! Fully vegan juice bar and café serving soup, a daily grain (they had paella the day I was there), an exciting selection of sandwiches that use seitan cold cuts and rice milk mozarrella that are actually really delicious, raw zucchini pasta, salads and a few sweets (raw vegan cheesecakes and the like). The juice and smoothie menu changes based on what’s in season and there is a nice list of healthy add ons such a mesquite, wheat grass, goji, maca, guarana, spirulina, acai, etc. The owners’ goal is to attract foodies, not just vegans, and I can say that everything is really delicious. Just a few steps away from Piazza Maggiore, Centro Natura is a center dedicated to health and wellness with a selection of treatments and yoga classes given in a wonderful environment. 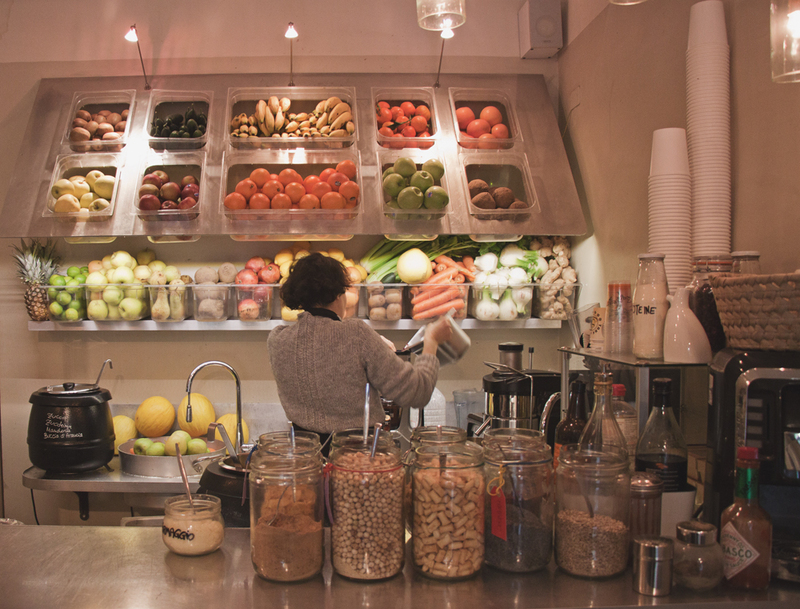 The self-service restaurant offers fully organic vegetarian (mostly vegan) food at an affordable price. Everything is prepared fresh daily and the wide selection changes frequently. I had a delicious tempeh stew full of ginger, braised carrot, fennel and beetroot and delicious penne marinara. Everything that’s vegan is marked with a green V. The sweets are also excellent and mostly vegan. Not everything is vegan at Berbere, but everything is organic, fair trade, sustainable and ethical and the few vegan pizza options are bomb because the pizza crust is amazing and very little is needed on it (there a choice of tomato sauce, garlic, fresh herbs, capers and olives and you can decide what you like – it’s plenty, trust me). The chemical leavening is substituted for natural sourdough maturation and the flour is stone ground and made of ancient grains. There are a few vegan starters to choose from as well. Prices are good for such finely crafted pizza, but beware that the wine is quite expensive for the quantity you get. There is a shop attached selling organic and artisanal products. Very popular, booking recommended. 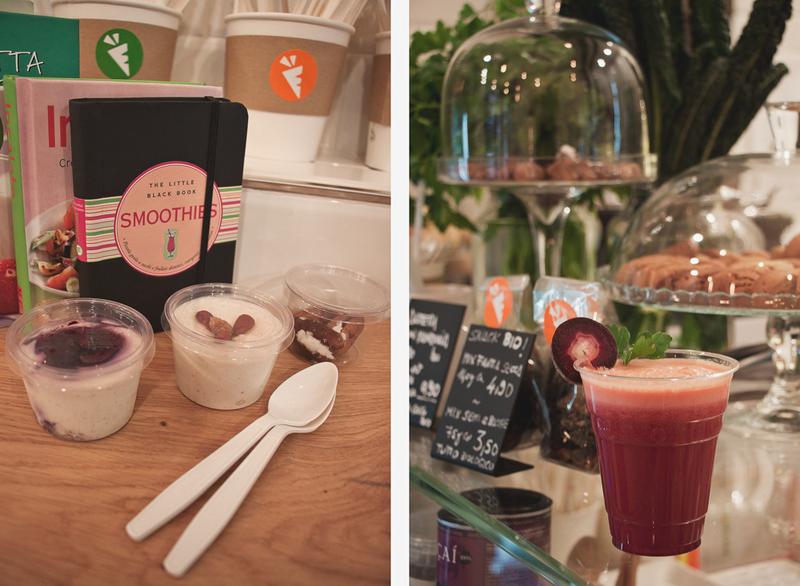 A great place to grab lunch on the go and stock up on vitamin-rich cold press juices and smoothies and a few packages salads and raw vegan desserts to go or eat on site. Friendly service, good English. Fram was located right next to my guesthouse, so I ended up having breakfast there every morning. It’s a cute little place with mismatched furniture and comfy sofas with a great selection of health food, granola, fruit bowls and smoothies, but what sealed the deal for me were the vegan croissants with a soy cappuccino. It can’t get any more Italy than this, and being able to indulge in this little morning ritual cruelty-free was pure glee. They also serve lunch and dinner. 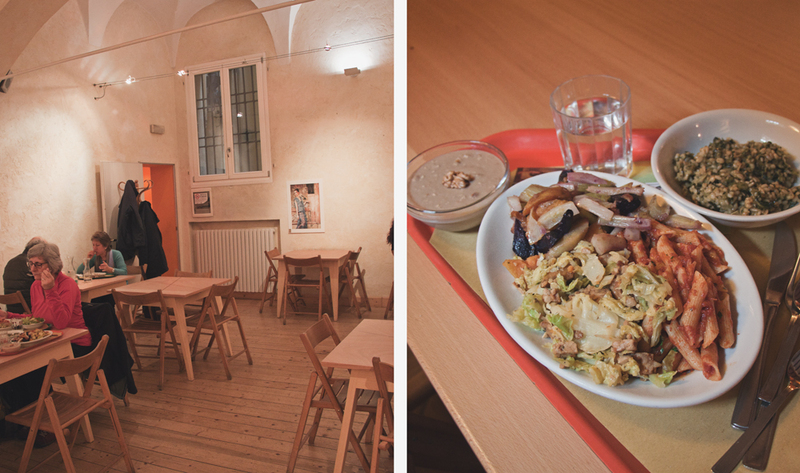 Clorofilla is the first vegan-friendly restaurant in Bologna and has a great selection of veganized Bolognese specialties including pasta, cold cuts, seitan dishes and salads. They offer something very authentic that will let you feel like you truly have sampled the local food. The service is friendly, helpful and accommodating and there is a changing daily menu with one fully vegan option and the possibility to veganize other options. The vegan desserts are great and there is a fantastic selection of teas. Consult my map below (or click here for a full page version) for all the directions and for more vegan options I could unfortunately not visit (the red pins). Please let me know if you can make to any of those so I can add them to my list! Need more inspiration for Bologna and Italy? Check out this guide! Also let me know of vegan food options in Tuscany or any tips while I plan my Tuscany road trip! The vegan food in the pictures looks really good, and getting tipsy in church sounds pretty cool! I also think that biking is the best way to explore a city and to see a side of it you wouldn’t otherwise. For me, it’s also nicer than walking everywhere! That was a unique spiritual experience! And it looks like vegan food in Bologna is tops! It snowed the week before I went there and the rooftops were still white. The views from the top of the were even better! 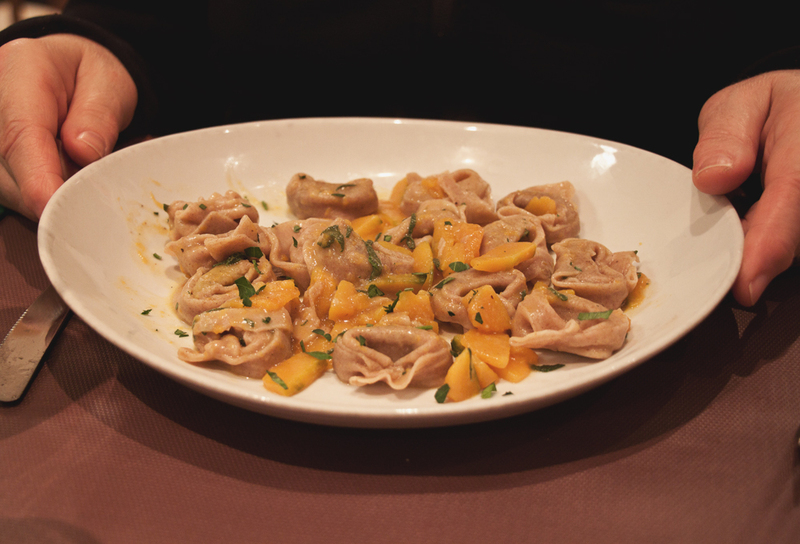 Also, I had delicious ravioli in a tiny restaurant that I can’t remember the name. Just the wonderful taste! I love the photos that you took from the top! What camera are you using? You made miss Bologna so much!!! The city is amazing, full of little cafes, great restaurants, a very vibrant and cultural city! Now with my new vegetarian diet I should go back there and try some of your recommendations, I might fall in love with Bologna even more! What a beautiful place! There’s nothing like exploring a charming city with a bicycle. The food also looks amazing, and a trip just wouldn’t be complete without local food. In a city known for meat and cheese heavy dishes it’s nice to know there are some places to eat a bit lighter. Bologna looks absolutely charming! 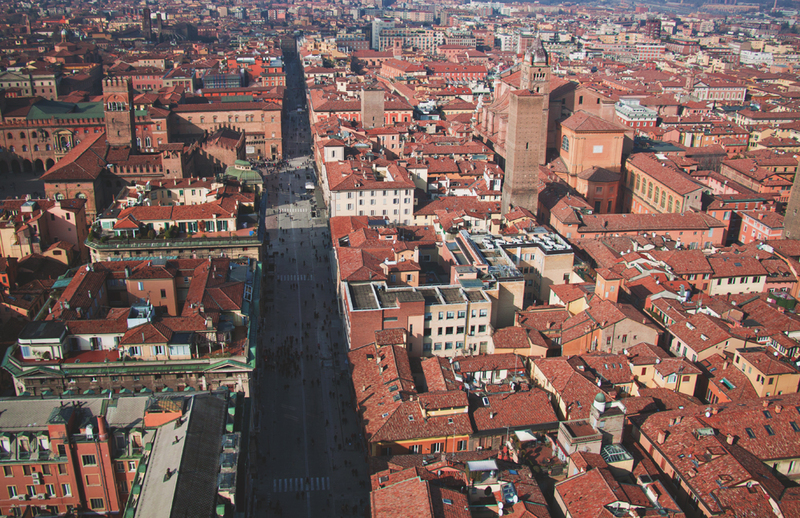 Bologna is one of the cities I want to visit. It’s great to see these tips on places to visit and where to eat. As I cannot ride a bike (knee problems), I’d go to the ASINELLI TOWER 🙂 A special note for the photos – great ones! Oh my goodness that church bar looks like my kind of place!! Bologna looks incredible! I never realized there were so many vegan options in the city! We know Bologna very well and what you written is so true! It’s a place full of history with (like all the Italy) typical foods super tasty!! What’s, according your taste, the best food you ate there? Bologna looks majestic! I love your photos and the food looks fantastic. 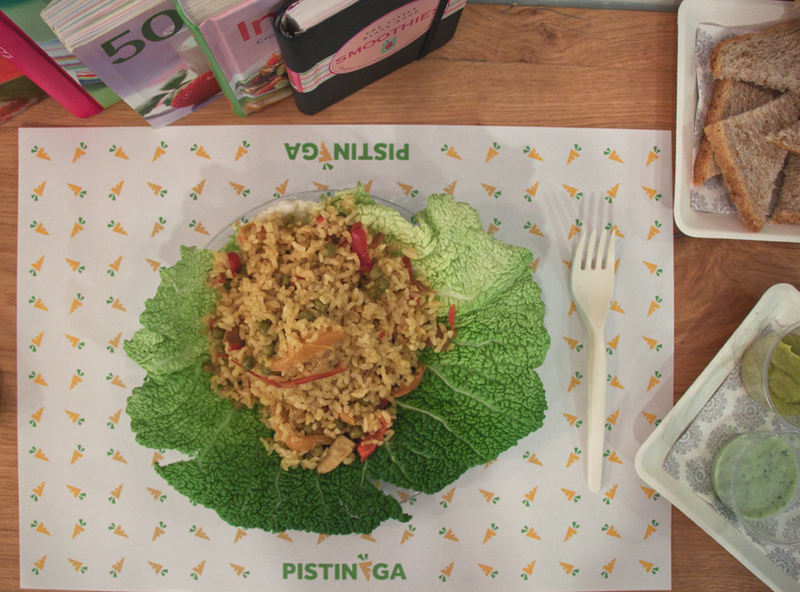 Thank you so much for sharing your experience, especially the fact that you can find nice vegetarian dishes! I’m typing this as I eat at Centro Natura. Such delicious food. When they heard I’d found them through a blog, they doubled my portions and gave me a free desert. Lovely people and fantastic find. Thanks for the recommendation!